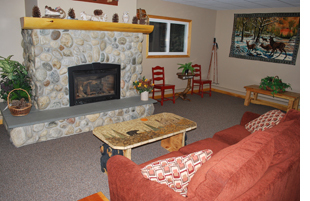 Take in the cool, clean mountain air at WatersEdge Cottages. Choose from two lakefront cabins and four two-bedroom suites and enjoy a private beach offering endless lakeside activities. Located about two and a half miles from the town of Speculator on Route 8, the entire property is renovated with modern conveniences and handcrafted Adirondack furniture that recreates the style made popular by the great camps of the Adirondack region. Each unit contains a completely equipped kitchen, a dining and living area, cable TV, two bedrooms and heat. For your convenience and to expedite the check-in process, download and review our lease and rental agreements below.